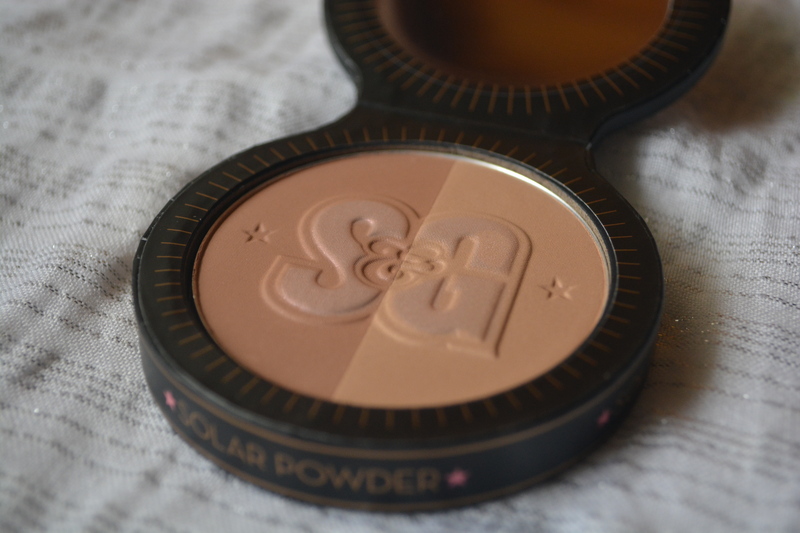 I am already a huge fan of Soap & Glory’s makeup line, so when their Solar Powder was on offer in Boots I decided to pick it up and give it a whirl. I have started using bronzers more and more in the past few months and I wanted to find a good drug store bronzer as all of the ones I own are high end. I am not overly keen on the packaging the Solar Powder comes in. I find that cardboard packaging can start looking a bit tatty over time, however it is nice and compact so will fit in a makeup bag easily. The bronzer only comes in one colour but inside it has a light and a dark bronzing powder. You may be able to see in the photo that the Soap & Glory symbol has some shimmer in it. This is just an overspray and disappears within a few uses, leaving a darker matte bronzer and a lighter sheeny bronzer. 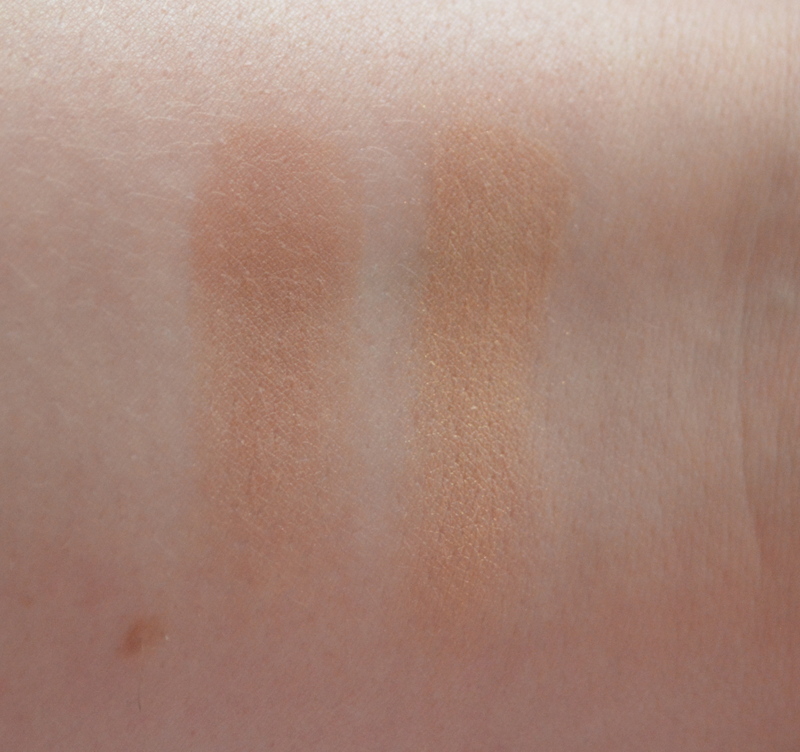 The darker side has a slight red undertone whilst the lighter side has more of a golden undertone and a slight sheen. I do not feel this bronzer would be good for those with deeper skin tones because as you will see from the swatches below both sides are quite light in colour, which is a shame. Both sides of the bronzer are nicely pigmented and easy to blend because the formula is smooth and buttery. The sheeny lighter side gives a nice sun kissed glow to the skin whilst the darker matte size adds a bit more colour. Those with medium skin tones may be able to use the darker side to contour, however I would not recommend this for fairer skinned people as it is too warm in colour to contour. You could also mix the too together which adds more colour than when they are used separately and adds beautiful glow that is not too sheeny. Solar Powder contains 9g of product so is great value for money if you compare it to the popular NARS Laguna which is £27 for 8g of product. It is similar in price to the L’Oreal Glam Bronze Duo Powder which is £10.29 for the same amount of product and this comes in two shades so may be better for those with deeper skin tones. On the whole I am glad I purchased this bronzer as it suits my skin tone well. However, I do wish they had brought out more shades that suited a variety of skin tones so everyone can try it. 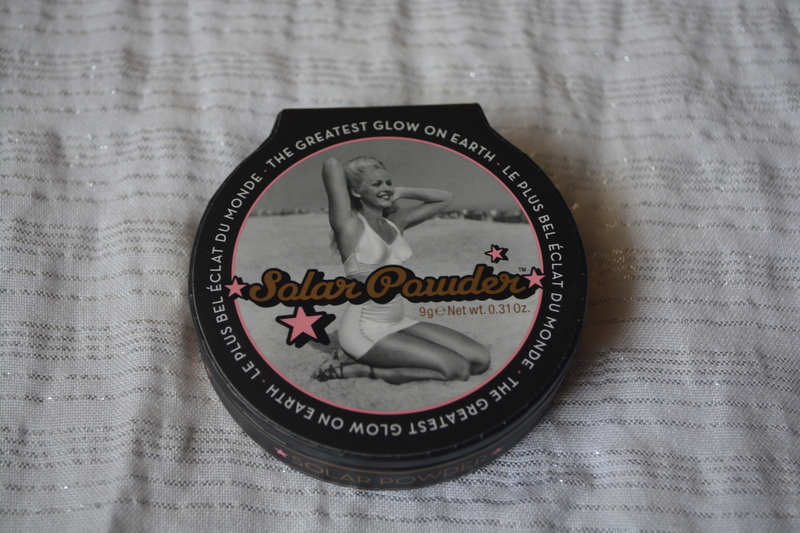 Soap & Glory Solar Powder retails for £11 and is available here. Do you have any recommendations from the Soap & Glory makeup line? Let me know in the comments below.